6 Speed Gated Shift / Tubi Exhaust! Luxury motorcars is proud to have another Gated shifter 2003 Ferrari 360 Spyder that comes in Grigio Alloy over a Dark Blue leather interior. This vehicle is in fantastic shape inside and out the headlights have no fogging and the switches have all been replaced so that they will never get sticky. It also has some of the highly sought after factory options which include: red brake calipers, 6 CD changer, sport seats, colored upper dashboard, electrically operated seats, front challenge style grilles, roll bar upholstery color, leather rear shelf/door mold, all stitching in color, and colored steering wheel. It also has a Tubi Exhaust installed. 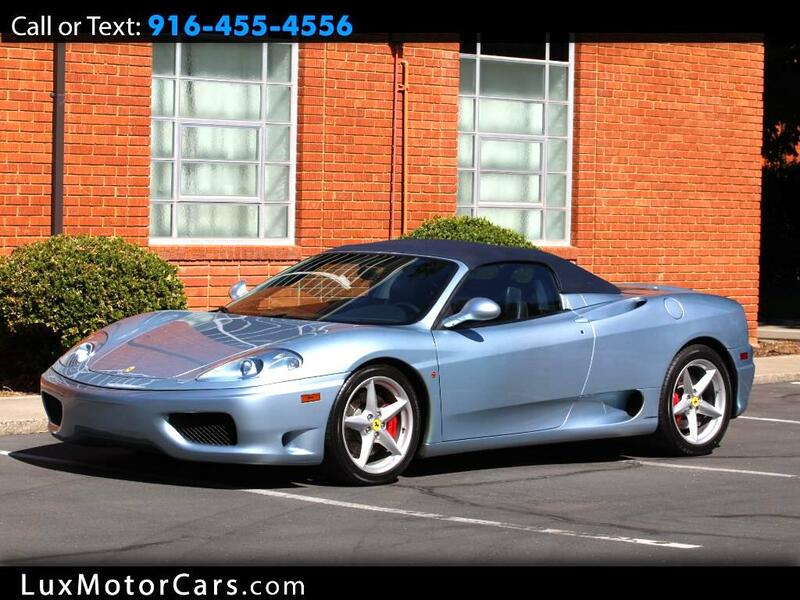 Message: Thought you might be interested in this 2003 Ferrari 360 Modena.